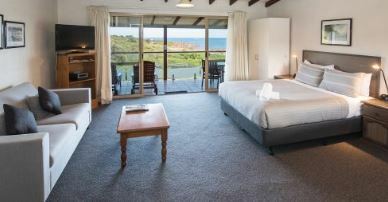 Canal Rocks Beachfront Apartments offer a range of fully self-contained, family-friendly accommodation with stunning ocean views. With private bathrooms, your own fully-equipped kitchen, TV, WiFi, outdoor barbecues, and car parking available – you will find that it is a comfortable and relaxing getaway for families and couples. ONE EXECUTIVE UPSTAIRS APARTMENT CATERS FOR THE DISABLED AND FRAIL – INCLUDING A LIFT AND FULLY DISABLED BATHROOM SO EVERYONE CAN TAKE ADVANTAGE OF THE SPECTACULAR VIEWS ON OFFER!